Eager to escape the hustle and bustle of every day living and relax? Whether you’re looking for the perfect community to retire in, or a weekend retreat for the whole family, Whispering Pines at Pine Lake is the ideal resort community for everyone. 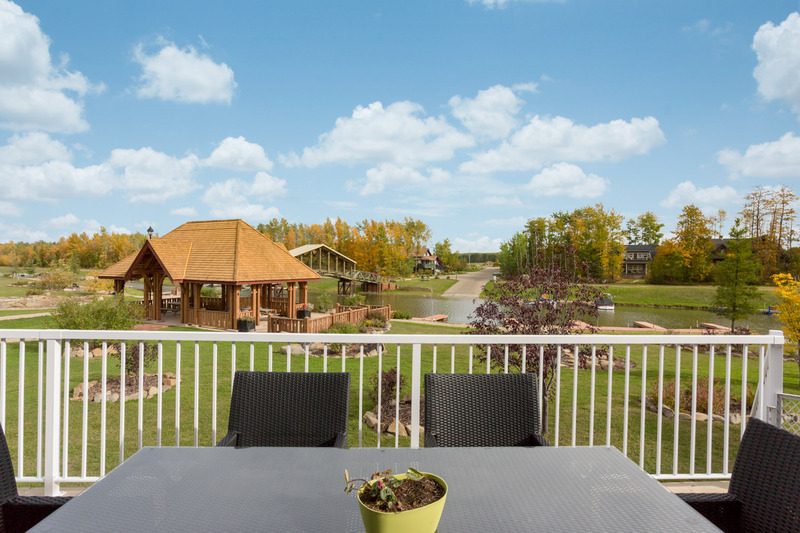 Abbey Platinum Master Built is preferred builder in this picturesque neighbourhood, located just 25 minutes from Red Deer, 90 minutes from Calgary, and 2 hours from Edmonton. Learn more about your dream lakeside retreat below! Whispering Pines is an exclusive gated community that treats residents to fully serviced lots, stunning views, and a tranquil atmosphere that makes it easy to relax and unwind. A golfer’s paradise, the community includes one of Alberta’s finest 18-hole courses, carved into the rolling hills of Pine Lakes. Whether you prefer a more laid back approach to retirement, or like to be kept busy, there’s no shortage of daily social activities to get involved within the community. 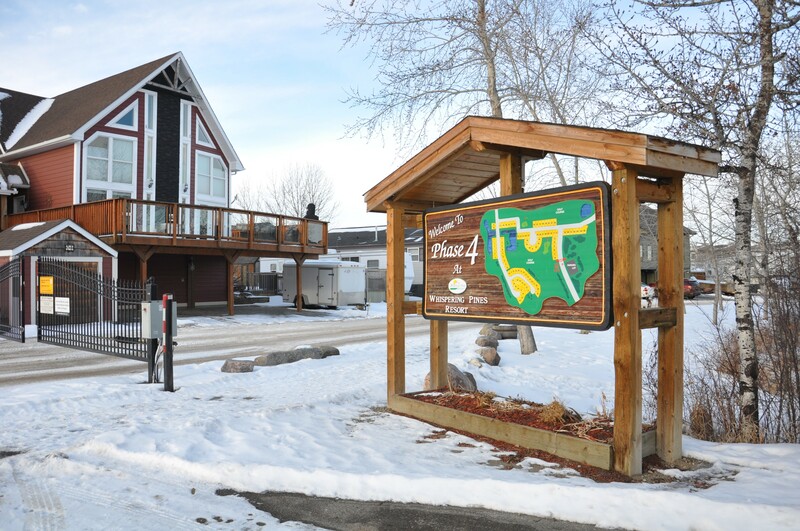 Whispering Pines boasts a 55 slip marina on a 9km lake, private sandy beach for residents to enjoy, along with a state of the recreational facility that includes an indoor heated pool and hot tub. Treat yourself to a night off in the kitchen and wander down to The Pines Clubhouse and enjoy their full service menu. As a preferred builder in the community, Abbey Platinum Master Built is happy to help you design your dream lakeside home. 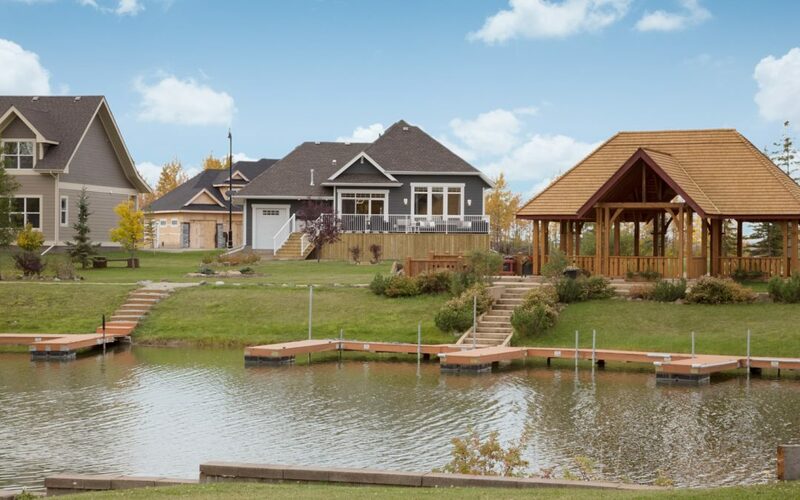 Our award-winning team has over 50 years of experience building custom homes in the Central Alberta region, and work closely with our homeowners to meet your specific needs. Contact us today to learn how we can help make your dream retreat a reality!